If you are looking for something to do that is very “Portland” and totally FREE, this one is for you!!! 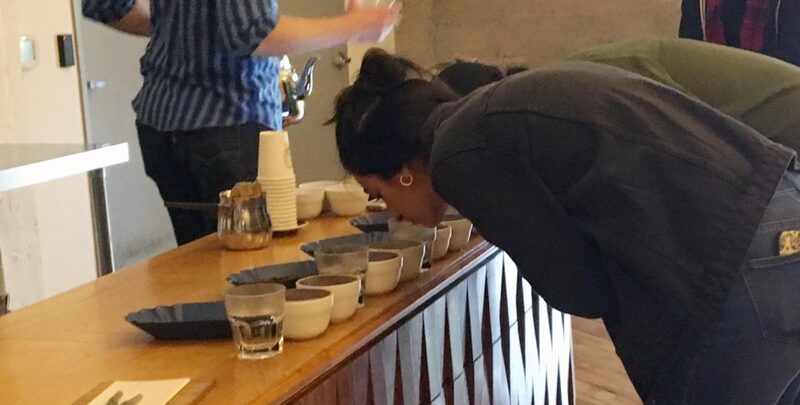 I recently attended a free coffee tasting, also called a “cupping” at Stumptown Coffee. It’s held at their headquarters in the Southeast Industrial area and takes an entire hour. They are held a few times a week, check their website for exact times and to make a reservation. 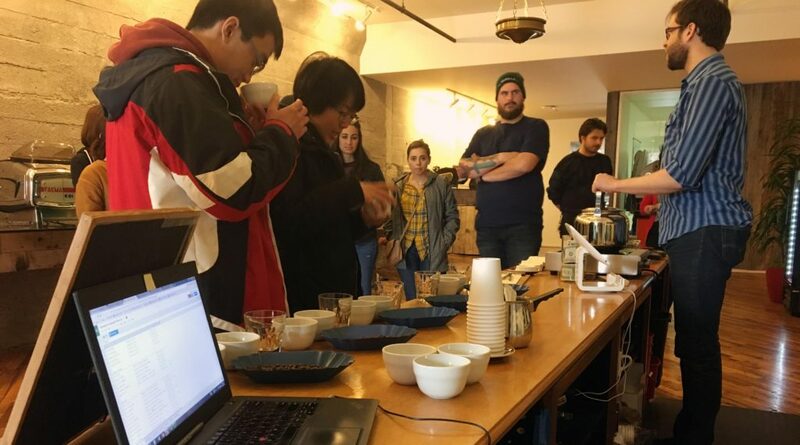 I could not imagine how a coffee tasting could take an entire hour, but the way they Stumptown does it, it takes a full hour. So be ready. 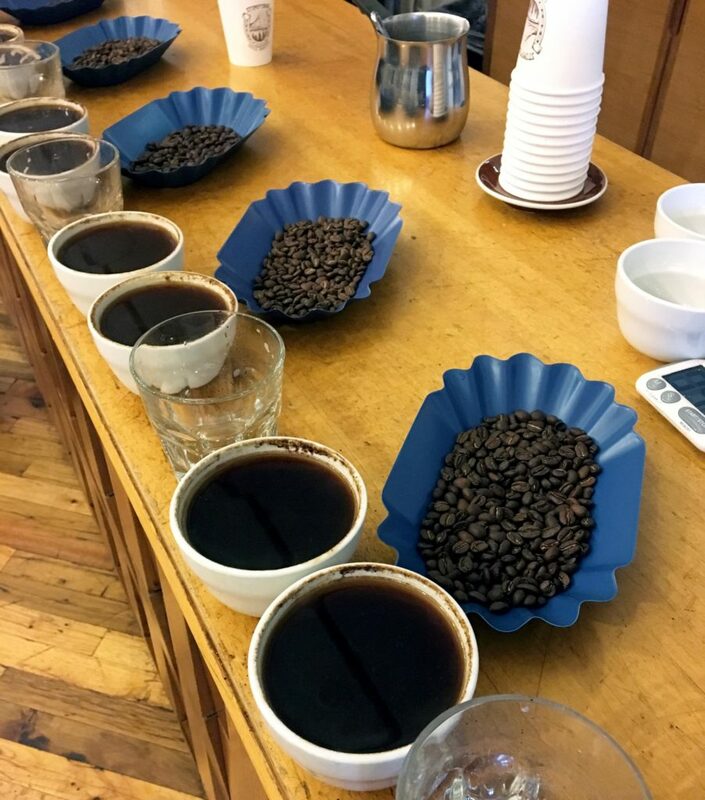 You will smell and taste each coffee multiple times plus the host shares a lot about the company during the long brewing process. They are leading you through the same process coffee professionals use when buying and roasting, so it is a very detailed process. If you like coffee this is for you! 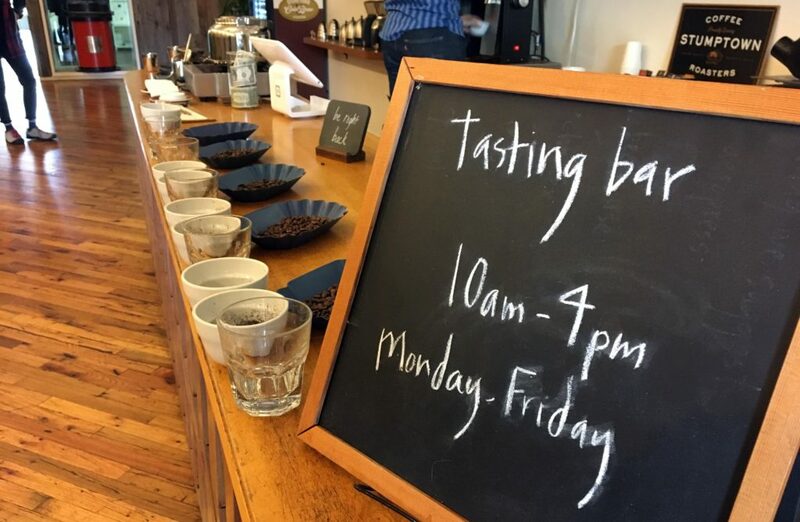 The cupping takes place right in the lobby of HQ, where they have a bar set up just for this. 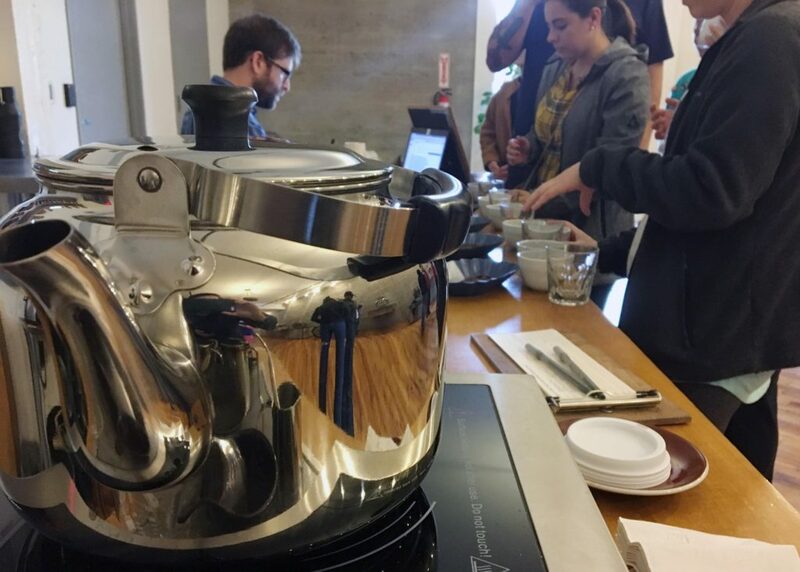 This is a process that all Stumptown employees do on a regular basis, so it’s kind of cool to experience it. I did some smaller sized versions of this during my training at Starbucks, but nothing this thorough. Our group was fairly large and full of tourists. I was the only local among them. 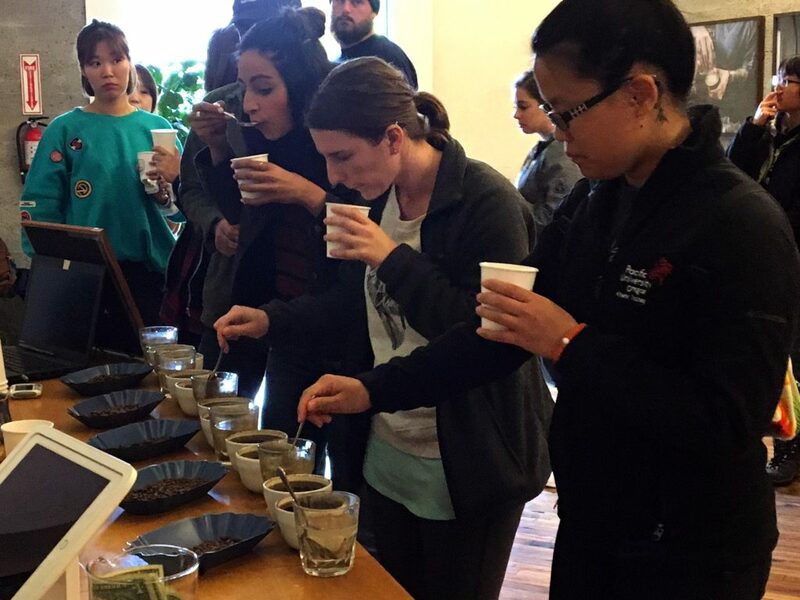 I’m not going to go deeply into the cupping process, but generally this is a blind tasting. You smell 4-5 types of beans before they are ground and brewed. Then again after they are ground and covered with hot water. After cooling, you taste each coffee and compare notes. Finally the type of beans are revealed, and you can taste again, after knowing what each is.